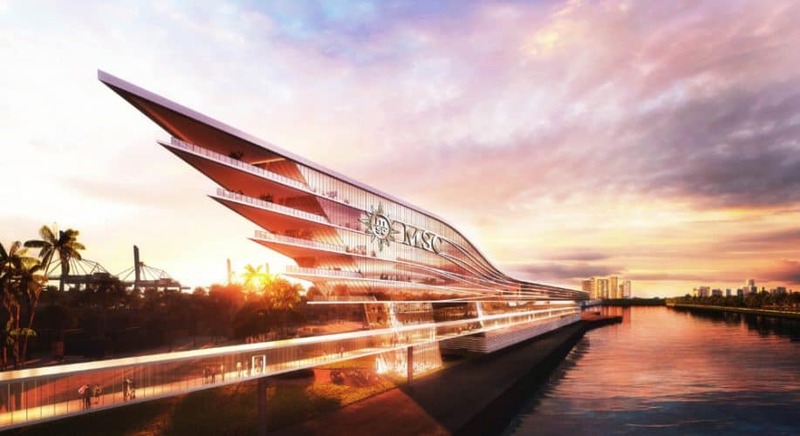 PortMiami is changing and now MSC becomes the fourth cruise line to have a futuristic new cruise terminal or should we say terminals! The cruise line has released some shiny new renderings of the facility and details which we’ll go into further below. 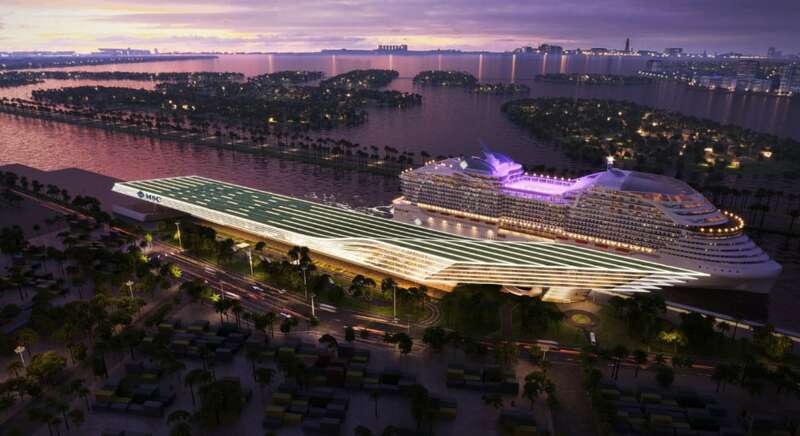 MSC Cruises will continue its North America expansion with an innovative new cruise terminal at the cruise capital of the world. The Miami-Dade Board of County Commissioners has officially approved the development but there’s something different about it! 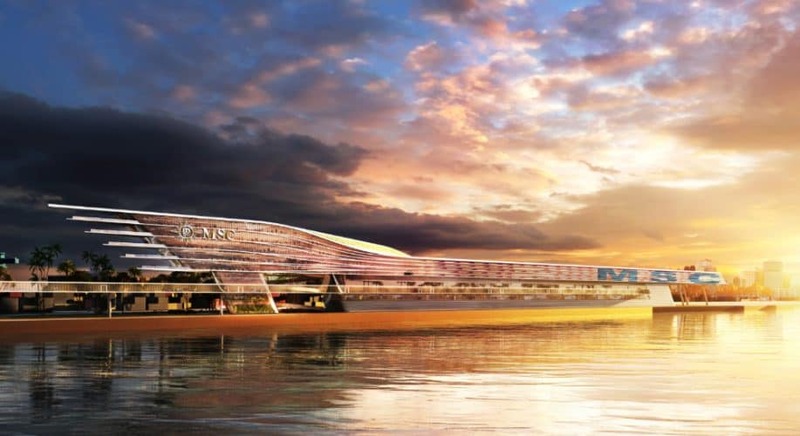 The building will actually house two terminals along with two cruise ship berths. The facility will be able to cater to two huge MSC mega ships at the same time including the future 205,000-ton World class ships. MSC will be able to manage up to 28,000 passenger movements in one day! Construction is scheduled to begin in early 2020 and it’s expected to be completed late 2022. All MSC vessels based out of Miami, Florida will use the new terminals. We recently posted some photos of the futuristic new Norwegian Cruise Line terminal which is currently under construction at PortMiami. Royal Caribbean also opened its new modern facility last year and Virgin Voyages even revealed plans for a shiny new terminal too. MSC Cruises has taken delivery of their second Meraviglia-class cruise ship named MSC Bellissima at an impressive 171,598 gross tons.